ANGLICAN Archbishop of Canterbury Justin Welbey has extoled Zambia as the beacon of peace and has expressed confidence that the status will be maintained after the country’s August 11 general elections. His grace said this yesterday upon arrival at the Kenneth Kaunda International Airport (KKIA) at about 14:55hrs aboard an Emirates plane where he was welcomed by Minister of Energy Dora Siliya and a huge crowd of devout Anglicans who were eager to take a glance of him. “My hope is that we are attentive to the spirit of God, loving one another in the way in which we act and speak and express it,” the archbishop said. 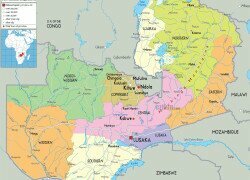 Zambia will host the Anglican Consultative Council (ACC16) which will run from 5th to 19th April, 2016 under the theme “Intentional Discipleship in a world of differences”. The conference represents one of the four instruments of unity in the global Anglican communion representing an estimated 90 million Anglicans worldwide and the Archbishop of Canterbury the spiritual leader will be in attendance. His grace took time to pray for the media saying an election is always a challenging time for them anywhere in the world and revealed that he last visited Zambia in 1974. He said that the media exposes wrongs in the society and prayed for them to have the strength and honesty to pursue their duties. Ms Siliya, an Anglican herself, said that the Government and indeed the people of Zambia were excited that his grace was in the country. “On behalf of his Excellency President Edgar Lungu and the people of Zambia you are most welcome; we hope you had a safe flight. I believe Anglicans and Christians in general are happy to receive you today. I am an Anglican,” she said. And Central Africa Anglican bishop Albert Chama who represents Zimbabwe, Malawi, Botswana and Mozambique expressed happiness and assured the archbishop Canterbury that the deliberations would be a success.